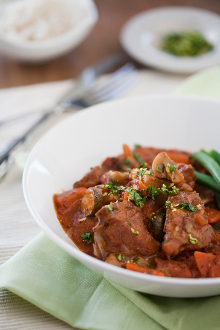 Straight from the shoulder: Slips right off the bone and exhilarates the taste buds! So tasty, and so versatile! 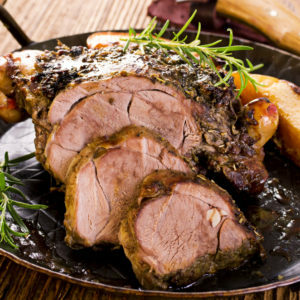 Why choose our Lamb? 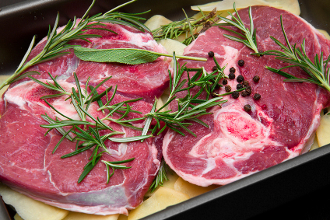 We promote Choice, Spring-graded and Domestic lamb ONLY, assuredly a step and a half up from the Australian or New Zealand lamb you’ll find most everywhere else. 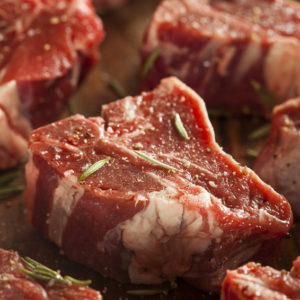 Typically milk-fed, you can count on Spring lamb for a uniquely healthy look, and an appreciable difference in meat-to-bone ratio, flavor, and tenderness alike. A taste truly unlike any other! Why choose Bone-In? The meat cooks uniformly, and is therefore juicier and more flavorful throughout when it is bone-in. It is now cooking not only from direct heat, but also from heat transference through the bone. Our personal favorite style! Why choose Weichsel? Wholesalers of New York City’s famous Peter Lugers, Citarella, and Zabar’s, very few people in the industry emphasize high quality and consistency like the team at Weichsel Beef Co. Located in the heart of Manhattan’s Meat Packing District, their family has been hand-picking beef and lamb for New York City’s finest dining rooms since 1976. They are a true representation of what the Blake The Butcher family is all about: consistency of quality and customer satisfaction, above all else.